…for Danny Choo’s lovely Dollfie Dream musumes – Saber and Aoi chan really ^^; As you can see, final product is slightly different from the original finalised sketch, but thankfully Danny approves! Just mailed it out today, but got green light to post about this ^o^! Back view… I ended up not adding the blue buttons at the back from the original sketch idea. Before I was about to complete the set, Danny requested for a matching hairband, which I think is a fabulous idea! 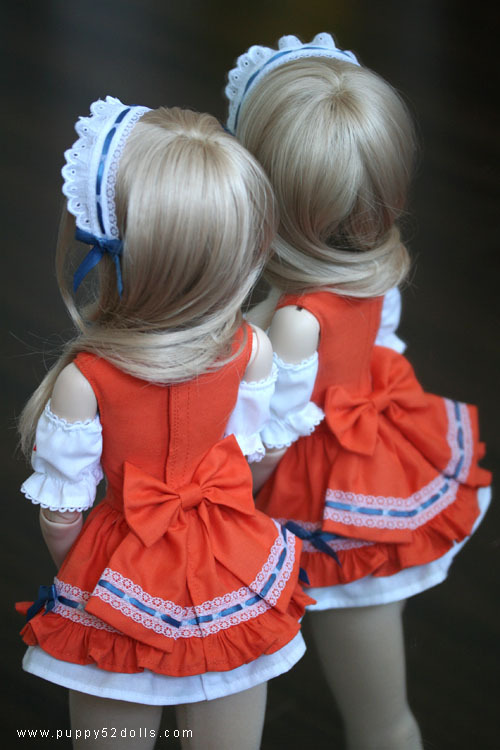 I ended up making the sleeves separately, the dress can be worn without the sleeves for a different look too ^^/! Currently I’m keeping a handful of people waiting, with some random projects (1-2 illustrations, some doll sewing eeeck!) — I didn’t forget!!! 28 Responses to Mirai Maid outfit completed! email me if you like? 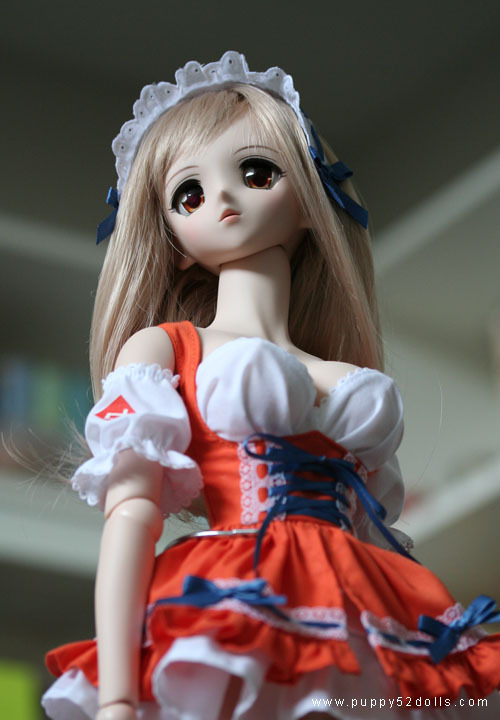 teeheee…wait..im new to dollfies so..
for this website, is it like one where we make an account? This might look good on DD Rin.